Mumbai. March 06,2014:With a new breed of contenders on the rise in the gentlemen’s sport, cricketer ViratKohli’s trust has seen a dramatic rise vis-à-vis Mahendra Singh Dhoni. A series of losses overseas for team India saw skipper M.S.Dhoni’s popularity taking a dip on the internet while ViratKohli’s fan following amplified. Considered by many as a successor to Dhoni, the trust factor Virat Kohli commands today is phenomenal and this has been aptly reflected with supporting facts and figures in the Brand Trust Report 2014. 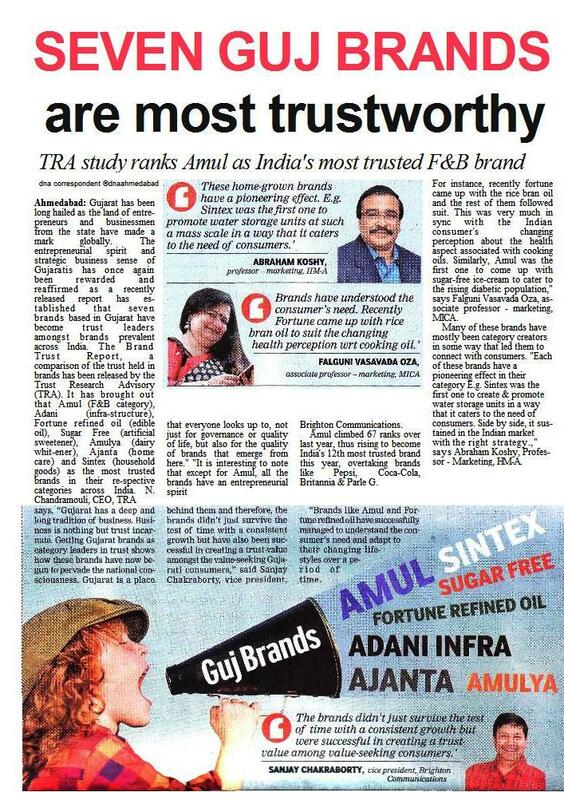 TRA, a Comniscient Group Company, publisher of BTR 2014 places Kohli in the 5th position in the most trusted personalities list. For someone who debuted last year in BTR, it’s been commendable for Kohli to be ranked amongst the top 5 along with legends like Sachin Tendulkar, M.S.Dhoni and Sourav Ganguly. 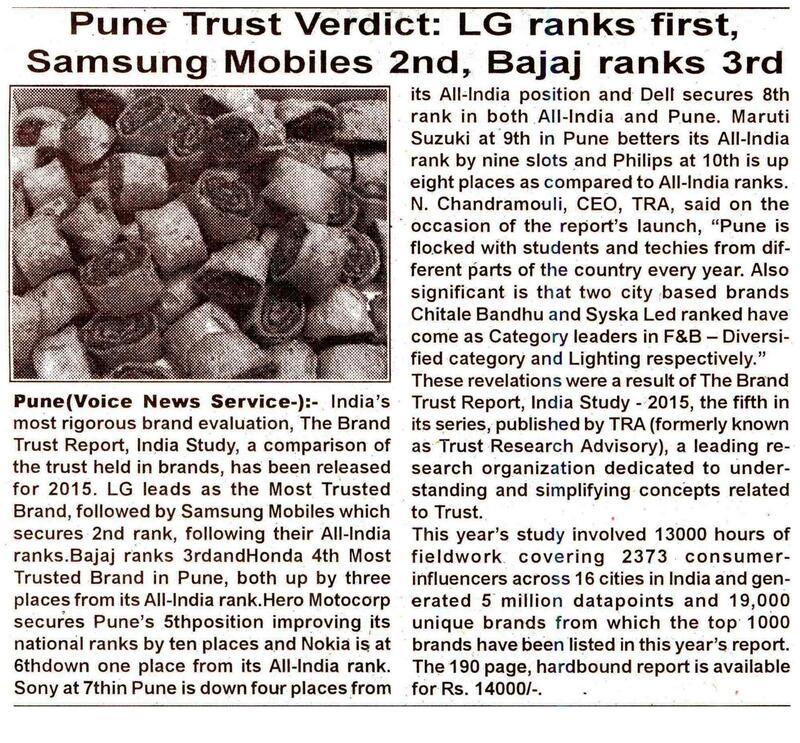 The Brand Trust Report, India Study, 2014, the fourth in the series, is the result of a primary research based on the proprietary 61-component Trust Matrix. This year’s research was conducted among 2500 consumer-influencers across 16 cities, and generated nearly 5 million datapoints and 20000 brands, making it the most intensive study on Brand Trust across the globe. Despite a fall in the overall trust rank, Kohli rises from the 6th position in BTR 2013 where he was a new entrant, to the 5th position in BTR 2014.A study by search engine Google also showed that Dhoni’s last minute withdrawal from Asian Cup and Kohli’s century as a captain has impacted the ranking of these cricketers on Google search Trends. 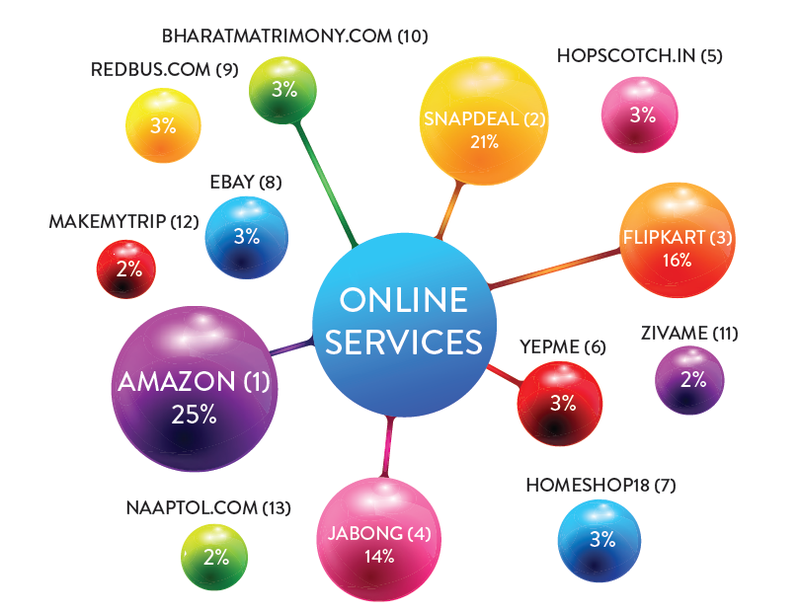 While Kohli ended 2013 with more endorsement than Dhoni, a search trend analysis over the past 30 days revealed how online search of Kohli is on the rise leaving Dhoni on the second spot.